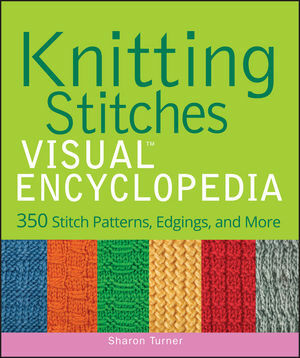 Knitting Stitches VISUAL Encyclopedia gives you quick visual access to a comprehensive collection of stitch combinations that enable you to create your own designs or modify existing patterns with ease. Each stitch is accompanied by a full-color photo and diagram to make learning even easier, while sidebars guide you through tricky parts of various stitch patterns. SHARON TURNER is the author of several knitting books, including Teach Yourself VISUALLY Knitting, Teach Yourself VISUALLY Knitting Design, and Knitting VISUAL Quick Tips (all from Wiley). She designs knitwear and published Monkeysuits, a line of knitwear patterns for babies and children.